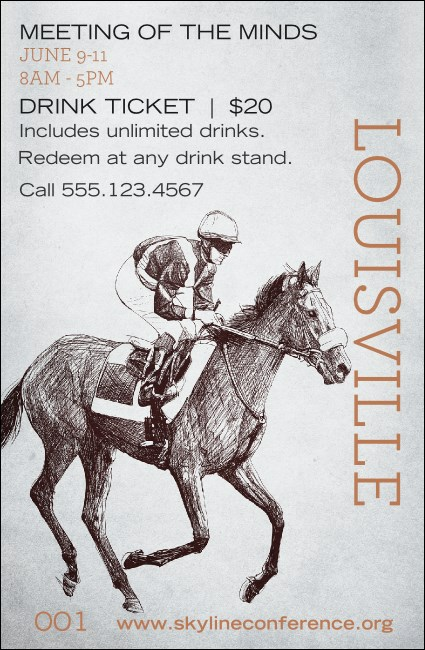 Whether your guests are fans mint juleps or straight up bourbon, they'll love the Louisville Drink Ticket. Featuring a classic horse riding sketch, the ticket also includes individual numbering for security. Raise a glass in the Gateway to the South! Add a Matching Event Kit for event planning peace of mind!